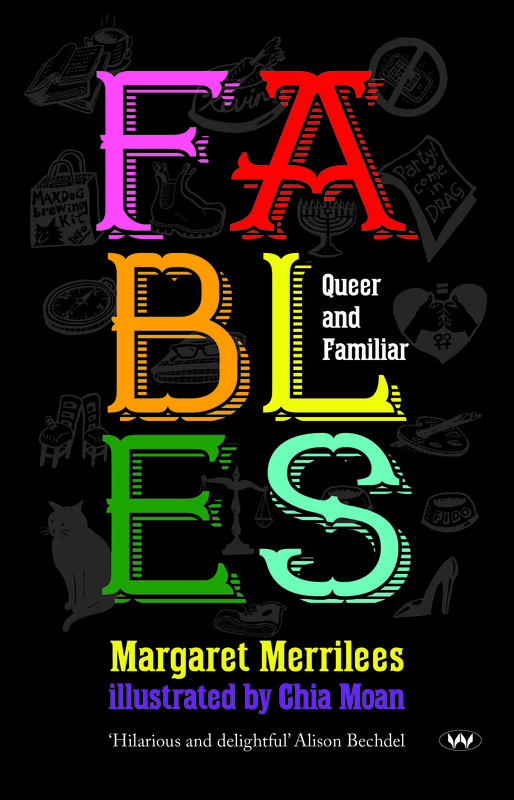 Fables Queer and Familiar (previously online as Adelaide Days) is a wry, affectionate look at the lives of two lesbian grannies, their friends, family and community. Anyone who knows an ageing activist will recognise the combination of good intentions and aching joints. And anyone who has been young will identify with the children as they try to make sense of a mystifying adult world. Available now from bookshops or online from Wakefield Press ! Interview with Emily Sutherland on the 5MBS Kaleidoscope show – including great music by Jen Clark and Vicki Bennett. Mag, I love it!! I can’t read the earlier episodes so I’ll just have to wait until it comes out in print. I’m dying to read about when they come bushwalking in Tasmania!!! I love the latest 2 about Christmas and buying mobile phones. You have it exactly right Mag with how easy it is to sign up to a ridiculous plan and how they rave about the camera. You capture the essence of life’s dilemmas so asutely. I was at the SAWC today and heard you speak of your journey to publishing. In it you spoke of your on-line ‘serial’. This is what I did not know I wanted to do but find I do want to do for my own displaced characters in the ‘speculative fiction’ (fantasy) novel I have been writing. Thank you for your inspiration. I love it! Ah, Mag, I look forward to sitting at your Knee for the next episode – so deliciously you! And Nicky – I see a new musical career opening up for you! Yes voice & music both lovely! Hi Mag, we’ve just started our journey through Adelaide Days, up to ep.4! Great fun, love from Lesley and Susan. My apologies – she is not Julia, she is Tara. I am really looking forward to her contribution to the plot. I love this story, pasrticularly the sparse language and the maintained relentless ironic tone. Mag, I think it’s great, and very funny. Keep it coming! Just what the doctor ordered. This is a hugely entertaining. lovingly constructed text that demands attention to the past and the future. I’m with James. May there be a resolution of his confusion. Until then, let the humour flow.